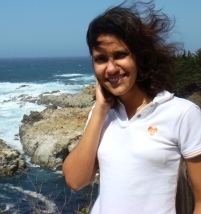 Home › Alumni › Alumni Testimonials › Alumni Spotlight #10: Suniti Kukreja, Ph.D.
"I came to PAU from Thailand in 2005 in search of a doctoral program that could provide me with the relevant skills and training to be a successful clinical psychologist. International students have the additional stress of adjusting to a new country along with the rigors of a Ph.D. program. My fellow classmates and PAU faculty/staff have been wonderful and extremely supportive in helping me adjust to life in the US. My experiences with the program have fulfilled all my expectations. I have received extensive clinical experiences in multiple settings as well as specialized training in Health Psychology track. Emphasis on cultural sensitivity embedded in our program provides me with the knowledge and skills that I can apply in my future career internationally." Dr. Kukreja was awarded her Ph.D. degree from Palo Alto University in June 2010.